Want to talk to someone regarding Ski or Boarding Insurance covering Medical Conditions? Specialist insurer offering cover for 1000s of medical conditions. Covers short and long term trips, and policies can include winter sports. Either get a quote online or speak to an expert, call 0345 90 80 121(Mon-Fri 9am-5.30pm, Sat 9am-4pm). Single trip with no upper age limit, and annual policies available up to 85 y.o. There is absolutely no reason why skiers and boarders with a preexisting medical condition should not indulge their passion - unless of course it's against their doctors advice. Do I need to declare a preexisting medical condition? 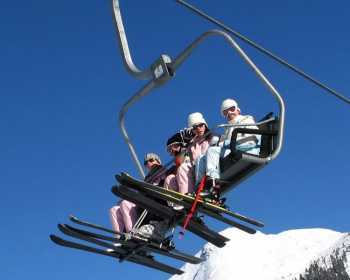 We would not suggest travelling abroad without adequate ski and boarding insurance which would cover your pre existing medical condition - Medical costs abroad can be very expensive and although any attendance at hospital may, in your view, be totally unrelated to your pre existing condition, if your insurance company considers otherwise, you could be facing a very large bill from a health-related problem while abroad. We have listed some of the companies on the left which offer insurance that covers medical conditions for skiers. The first couple are brokers who offer a phone service which we find is popular, as it means you only need to explain your condition once, and then they will search through a number of policies before identifying the best for you. Even if you have a mild medical condition do check that you have identified whether your insurance company want to know about it when obtaining a quote. If you need to declare it do so - as altitude can mean you react differently than you might do at home - and the worse case scenario is that you need treatment that an insurer refuses to pay for as they feel you hid vital information at the time of buying your policy. What sort of information will an Insurer require? So that they can accurately assess your situation, insurers will ask for your medical history, together with any current medication or treatment. Whilst the answers will have an impact on your premium do not be economical with the truth as, if a claim is made, your doctor will be asked for a medical report.